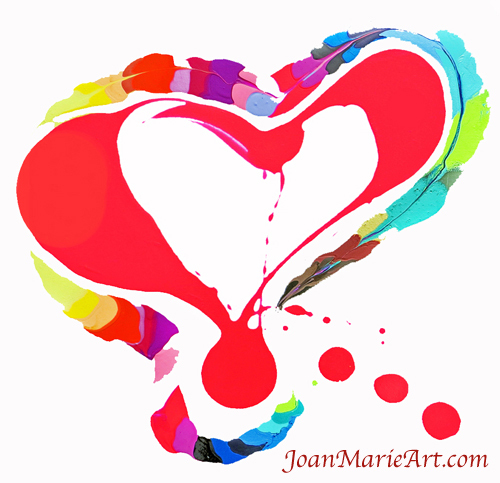 For my valentine to everyone, I wanted to share this story of Joan Marie, a vivacious artist who is re-launching her art licensing business this year. Having great success early in her licensing career, 20+ years ago, only to have the business plummet, has taught this artist a few heartfelt lessons. J’net Q: How did you get into the licensing business? 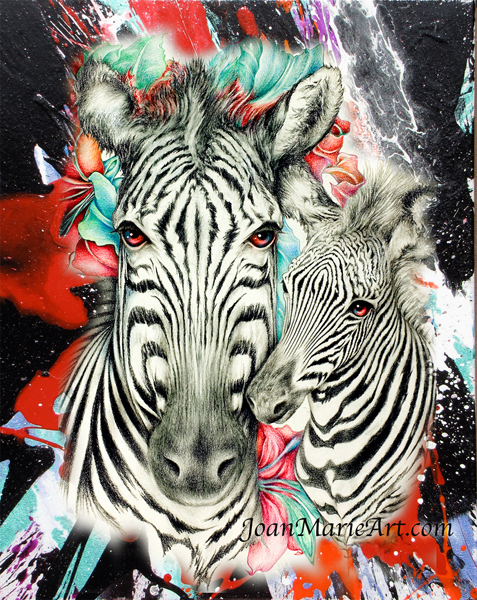 Joan Marie A: Mary Engelbreit inspired me. Watching her business flourish was very exciting. Then I began to see the bigger picture and it really intrigued me. Q: You have a fine art background, is that right? A: Yes, my undergraduate degree was from Washington University in St. Louis and my MFA was from both University of South Florida, in Tampa, and Lindenwood University in St. Louis. Q: How did you get your first deals and what kinds of licensing have you done? A: I researched companies by going shopping and by attending some national conventions to find the best companies to work with. I wrote down tons of names. Then I would call them to see if they were interested in working with a freelance artist. If they were interested, I sent them a hardcopy of my portfolio with 10-20 images. And I got rejected a lot. When the company that was to be my first licensee called, they first offered me a flat rate. I had been so excited to get their call, then my heart dropped. I told them, I can’t work that way, I must have a royalty. And the manufacturer said they don’t work on a royalty basis. So we both hung up. At the time, I was pretty desperate and I paced and fought myself NOT to call them back. Then he called me back about 4 hours later…and they offered me a royalty. Next I had to create the contract, which I did, through a volunteer organization that offered legal services to ‘starving artists.’ From there I followed the same procedure to get more deals, and really persisted. It took a long time to get going. Then my art sold very well for about 10 years on apparel, stationery, back-to-school and gift items. I had one cat design that sold over 1.5 million t-shirt transfers, which was amazing. And creating 2 lines of collectible plates with The Hamilton Collection was such an exciting time of national recognition. But all of a sudden the public totally stopped buying kittens and unicorns; the market was really saturated with the themes I had painted. Q: What is your favorite part of doing art licensing? A: Knowing your art can add a smile, some excitement, and warm someone’s heart while using everyday products. It just feels like crazy fun to me. It makes me so happy. I think this is a sign that I am in the right business. “Life is supposed to be FUN!”…and that’s how it feels to be in this industry. Q: So how has your art changed since those earlier days? A: My art has covered many styles over the years. Early on I was primarily realistic in my imagery using classic oil techniques. Then I went through a purely abstract phase. Today I combine the ethereal and gently romantic quality of my past realistic art with my new confident intensity. It is very exciting to express so many of life’s emotions in one work of art. My new art is bolder. It captures the high energy passions I see in life. Q: What was your biggest hurdle to get where you are today? A: To stop being concerned about what will sell. Instead to create art that expresses my true vision and passion for life. If your focus is on creating what will sell, you may make a survival income, but you will never discover your unique voice and say something that will truly speak to others. If it doesn’t come from your joy, or your soul, it has no chance to gain a huge following. It is also a challenge to never give up and keep going through the ups and downs in this industry. One of the best words of wisdom I have heard is: “There is a lot of room at the top.” This artist was telling me that very few artists are willing to do what it takes to get to the top, so keep the faith and keep loving the process of getting there. Q: How has the art licensing industry changed since you were in it 20 years ago? A: Oh wow! BIG changes! Artists were not using computers!!! No Photoshop or email! Can you IMAGINE that??! Finding companies to submit to was so much more challenging…and OH MY!!! I felt so ALONE. We really had nowhere to turn to get help understanding the business! There were NO J’net Smiths at the end of the phone or computer to give us endless valuable information and help!!! All we had was the “Graphic Artists Guild Handbook of Pricing and Ethical Guidelines,” which was and still is really valuable. But that’s it. And mailing hard copies of portfolios was expensive. Then learning how each company wanted their submissions was a much bigger challenge. Q: What’s the biggest ‘from the trenches’ tip you can offer to newcomers to art licensing? A: My advice is to learn how to use your strengths and go to others for their strengths to help you get the job done. There are so many more resources available today; it’s such a blessing. So learn who and where those resources are and get out there and use them. I need to focus and not insist on doing everything myself. Read, talk to people and get professional advice. I am thrilled to get assistance on my branding, promotions, publicity, leads and more. We are meant to help each other and not work alone like an island. That’s what I used to do. Secondly, I think you really need to have great passion for this industry, as I’ve mentioned. If that deep drive and excitement or the love of the entire process and of being in business for yourself is not there, then the challenges will surely beat you down. I would also highly recommend having some savings to invest in the start-up of your business. You have to be patient, because it takes a long time for the volume to build up and to make the kind of dollars you want. 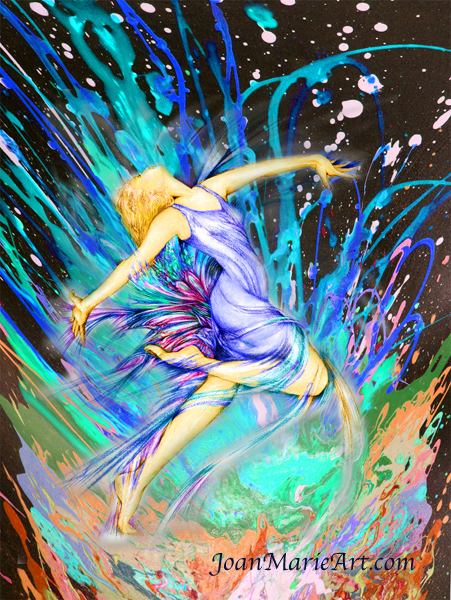 Q: In art licensing today, what is your biggest challenge? A: Not to fall into self-doubt or fill my mind with thoughts of feeling stressed…AND to not be concerned about what will sell instead being true to what I am here to express through my art. Gaining wisdom through the years has given me the ability to step out of those old patterns. Now I say: “I believe”…“I trust”… I know in my heart that everything is going perfectly, just as it should. It’s fantastic to feel grounded and excited all at once, knowing that this is what I am here to do. 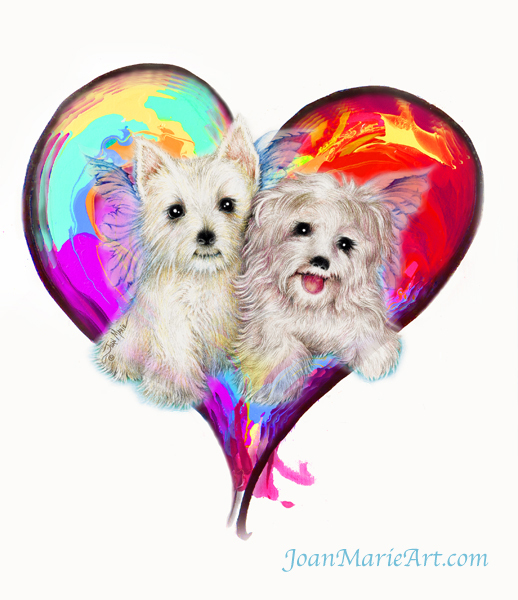 To see more of Joan Marie’s Art That Celebrates, click here to visit her website. 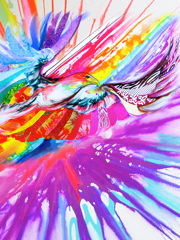 Her art is so bright and colorful! I love it. Very cool interview, too. Great interview with Joan (who I had the pleasure if meeting in NY last year)–and a great lesson in how changing tastes and market conditions can change your business AND how good art, a positive attitude and your unique point of view will win out—eventually! Awesome art work I like !! Wonderful and encouraging! Thank you! !